The Denham Film Studios project was a unique opportunity for ABL Doors. Set on the site of the former British Film Production studios responsible for hundreds of major motion pictures, including 1946’s ‘Great Expectation’, the development was set to reinvigorate the former glory of the 40’s and 50’s. With 224 new and converted homes, the developers, Weston Homes, set out with the aim of capturing the spirit of the Bauhaus architectural movement, bringing original art deco design into a fresh modern surrounding. 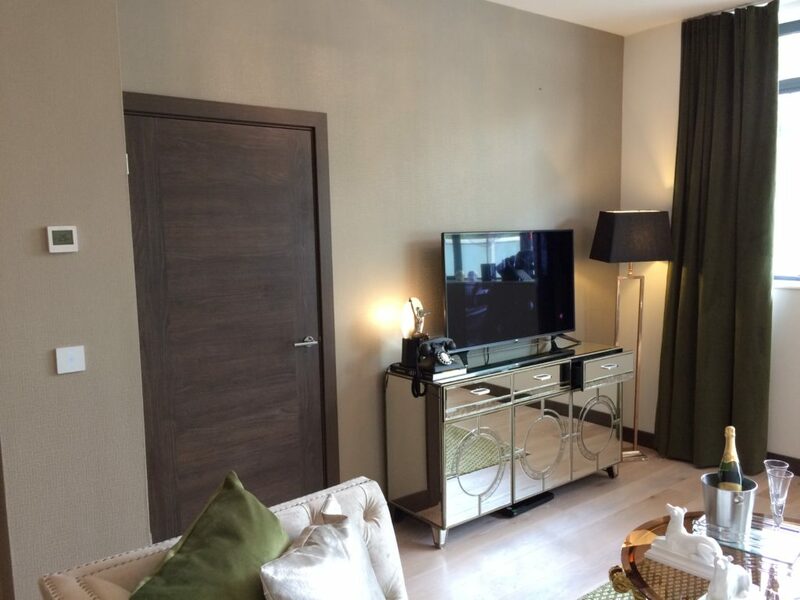 At ABL, we were tasked with supplying a unique range of cutting edge door designs in the most modern finishes that also complimented the developments’ retro aesthetic. It was incredibly important for us to achieve an effective balance of new and old, alongside the aims of the designers and architect team. Working with both parties we were able to achieve a beautiful blend of two vastly different eras, accomplishing an unusual but distinctive finished product. By supplying and fitting doorsets in this development we were able to save Weston Homes a large amount of time and reduce labour costs. We also ensured there was no risk of loss or damage by ensuring our products were only delivered to site as and when they were needed, and by taking full responsibility of the doorsets until they were satisfactorily fitted. ABL staff are knowledgeable, provide a very good service and introduce new and alternative products for use in our bespoke houses. With access to over 4,000 styles of door, and an unrivalled service, working with ABL removes all risk involved with the supply and fitment of doors. Supplying and fitting precision-hung doorsets for housing developers, builders and local authorities which reduce hassle, risk and provide great value. See a wider range of doorset combinations by taking a look through our catalogues.